DACHPOL specializes in the production of steel roofing, always placing emphasis on innovative development and high quality products. We offer tile-effect roofing sheets of the following types: EGERIA, EGERIA ECO, EGERIA PANEL, EGERIA PANEL ECO, IRIS, METIS, standing seam panel and four types of roof and façade troughed sheets with a system of roofing accessories. Our manufacturing processes are carried out in accordance with the European Quality Standards, and we use advanced technological solutions and the best raw and other materials originating from leading global producers. 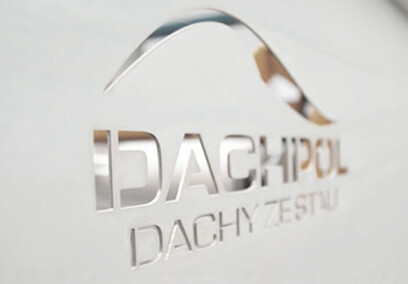 Hence DACHPOL roof coverings have a very high resistance to corrosion and mechanical damage. Moreover, they are distinguished by the diversity of their lacquer finishes, extensive variety of shapes and rich gamut of colours. We offer gutters in a wide range of colors and mounting accessories.